A few months ago, chip-giant Intel announced their latest 3D XPoint memory which shook the market as a whole. 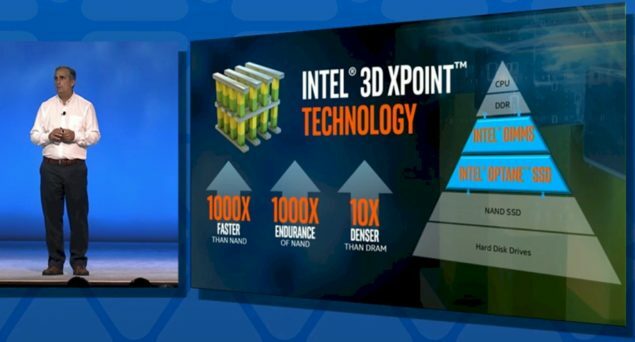 Featuring unprecedented levels of performance, the 3D XPoint memory will be available in market during next year and will revolutionize the tech industry with the latest 3D XPoint based Optane SSDs and DIMMs. For several years, we have been anticipating a revolutionary product from tech giant Intel and while they are primarily known for their processors, Intel brought their revolution with the new 3D XPoint memory standard which can work as both, DRAM and Flash. Focused at consumers, data center and workstation markets, Intel’s latest memory standard will be 1000 times faster than NANA, 10 times denser than DRAM and will have 1000 times the durability of NAND. While one would guess a insanely high price for these new products, Intel has promised a suggested pricing comparable to current flash and DRAM products which will mean that Optane branded products will become economically viable to gain a larger user base when its launched due to high competitive pricing. 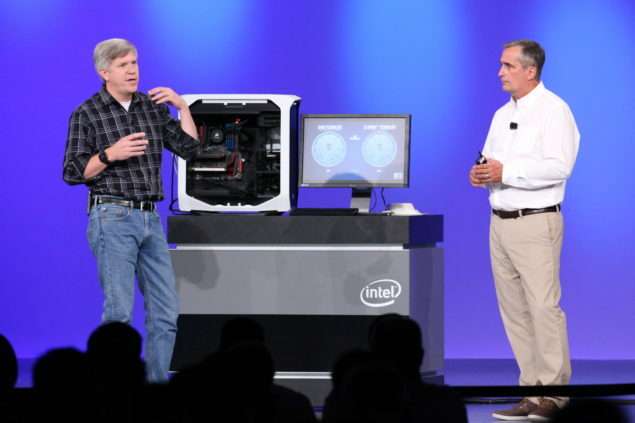 During the OpenWorld conference, ThePlatform managed to get some details of 3D XPoint from Intel’s keynote where the CEO of Intel, Brian Krzanich, emphasized the need to evolve the memory hierarchy. Currently, HDDs have been pushed to their limits and SSDs are only getting better but when we look at a modern PC, we look at multi-core processors and keeping them fed is a big challenge for Intel. 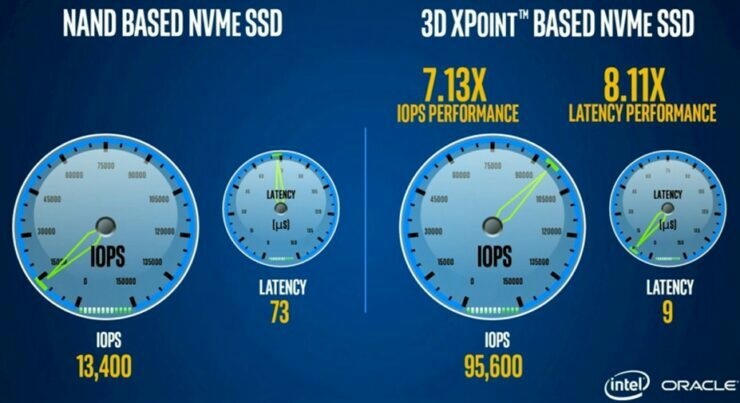 Optane SSDs fill in the equation and on the performance side, push things in the upward direction while putting balance back to I/O, compute and the storage so that modern processors can unleash their true performance. When looking at overall PCs, Intel has not moved beyond four cores on their mainstream processors and that might change with the emergence of high-performance storage devices and better I/O systems being introduced inside the PC environment. Now here is the interesting thing. Optane based memory devices arent just for storage, they will be available in the DIMM format as well. Infact, they will be available for everything from Datacentres to Ultrabooks and while the mainstream niche will most probably be interested in them as a storage memory standard, their versatility enables them to be used in the DIMM format as well for Xeons. 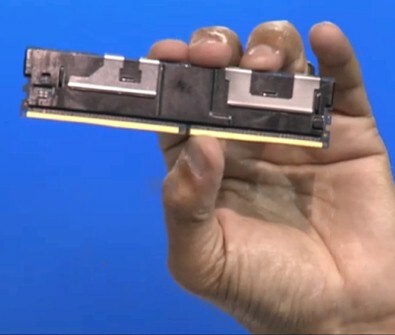 The Optane SSD that was demoed at Intel Developer Forum 2015 back in June, was a PCIe based device that was pit against the Intel P3700 SSD (which is the best offering in conventional SSD storage Intel has right now). 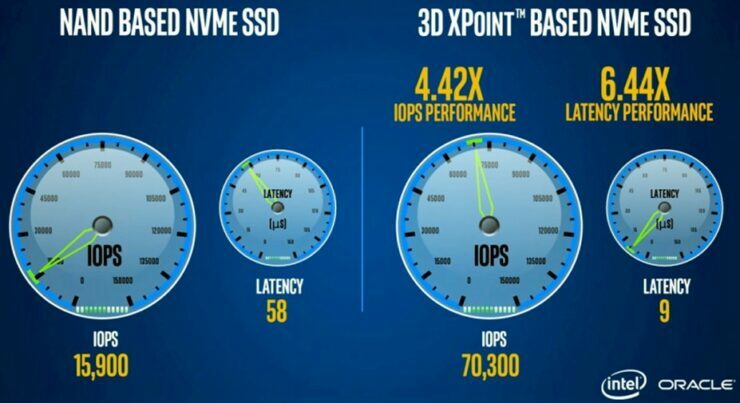 Today, Intel previewed the performance of their Optane SSDs once more against the P7300 NAND Flash SSD and the result was a 3D XPoint based NVMe SSD delivering 4.42x better IOPS performance (15,900 vs 70,300) and 6.44 times lower latency (58ms vs 9ms). 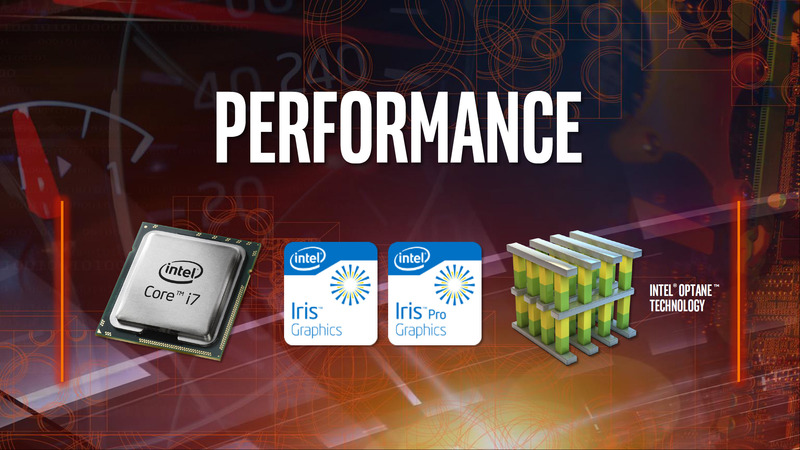 Later, Intel also revealed the performance results using Oracle as the base system software running and the performance gap widened with the 3D XPoint SSD performing 7.13x faster in IOPS throughput (13,400 vs 95,600) and delivering 8.11x lower latency (73ms vs 9ms). By variability, we presume that Krzanich means that the average latencies will coalesce around a certain figure and not wander too much with jitter from outliers that have much longer latencies. As we have pointed out time and again here at The Platform, raw performance often matters for lots of scale-out, scale-up, and scale-in workloads, but consistency of performance often matters more. Raw performance is not much good if you can’t count on it. The idea is to do more transactions with a higher consistency, said Krzanich, with improved response times, and ultimately it will end with better user experiences for applications. 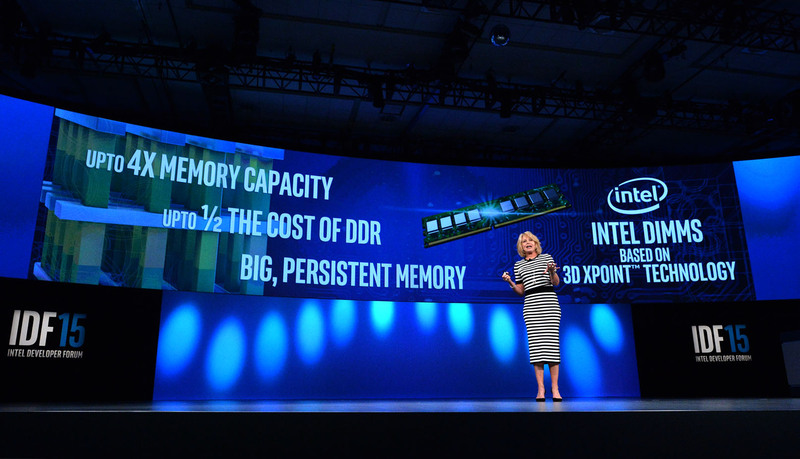 The destructively powerful, 3D XPoint memory will make its way to the market in 2016. Currently Intel cannot tell a more specific timeframe but Intel will have Optane DIMM samples for early testers marking Intel’s return in the memory scape. These new DIMMs will provide the performance of fast DDR4 devices with the capacity and cost of NAND flash based products and will allow 6 TB of addressable memory inside a 2-socket server.